Developer's Viewpoint: On Iwata-san's Passing Part 4: Laurent Mercure From Frima Studios! Frima Says Goodbye To An Industry's Hero! Our Interview wrote: Thanks for joining us to commemorate Iwata's life! [LM]: It's my pleasure, he deserves all the tribute he can get. [LM]: I unfortunately never met with him. It would have been an honor. [LM]: It's hard to pin-point a direct influence in the games we made at Frima. But we have to thank him for helping create a comfortable environment for indie digitally downloadable games on the Nintendo platforms ( eshop ). I think his understanding of the market helped that happen. [LM]: I'd say his courage in general. Facing thousands of people to present something daring like the Wii or the Wii U knowing that many would find it odd or ill-fated. [LM]: On a scale similar to mobile gaming, his approach to broaden the audience for gaming console with the Wii is inspiring. I strongly believe, like he did, that gaming is for absolutely everyone. I think the Wii made the entire industry take a moment to think: "Are we missing something?" [LM]: Super Smash Bros. That game was such a unique take on the fighting genre ( much like Splatoon for the shooter genre ). The game was refined and improved in the later installments but the first one is the true classic, it's where everything started. [LM]: I think ( I hope ) he will be remembered for his authenticity, his broad approach to gaming and for bringing beloved games to life. 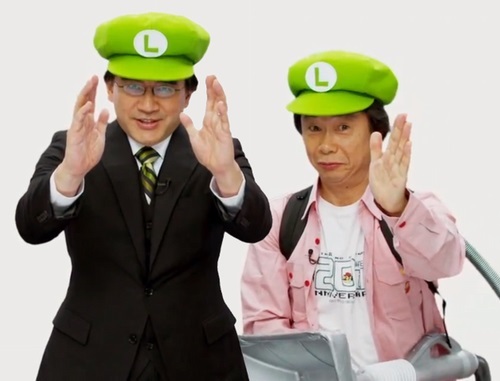 [LM]: You will be missed Iwata-san, may you be remembered for more than the recent speedbumps in Nintendo's history. Loved your Nintendo Directs. [LM]: Yes definitely, thanks for the opportunity. We hope that you enjoyed this heartfelt interview, be sure to tell us what you thought of it in our comments below! Re: Developer's Viewpoint: On Iwata-san's Passing Part 4: Laurent Mercure From Frima Studios! I still can't believe that mr. Iwata is no longer among the living. @Digidestined I know, it's really sad. Excellent article dude! WiiWareWave has been on a role with all of these exclusive features that have been released lately!